Whether it’s a phone number in a signature, a company profile or it’s on someones homepage – they can all be called with a single click. You can now experience that smart phone feeling on your computer! 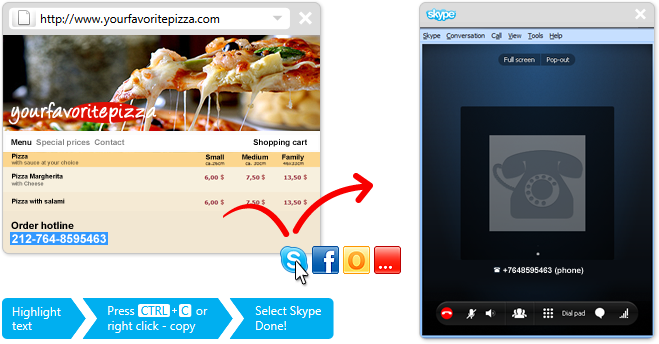 Simply mark the number, copy using CTRL + C or right click -> copy and order your pizza with Click.to Skype. The only thing click.to can’t do yet, is pay for it!